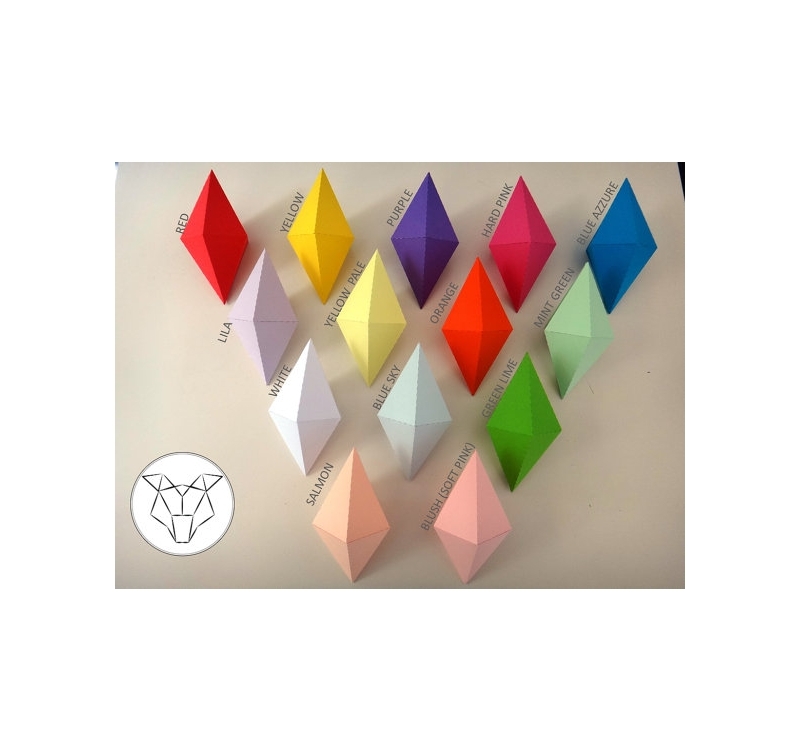 Illuminate your walls with our animal paper trophies ! This bull trophy is in paper weight 160 / m2 and the time of realization and about 3 hours. 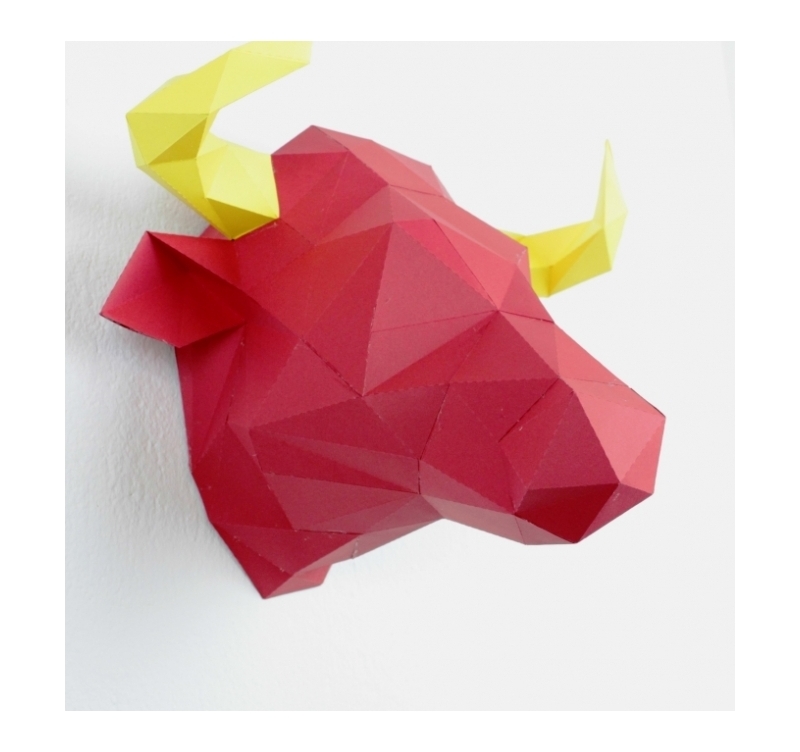 The dimensions of this bull wall decor are 35 x 28 cm. 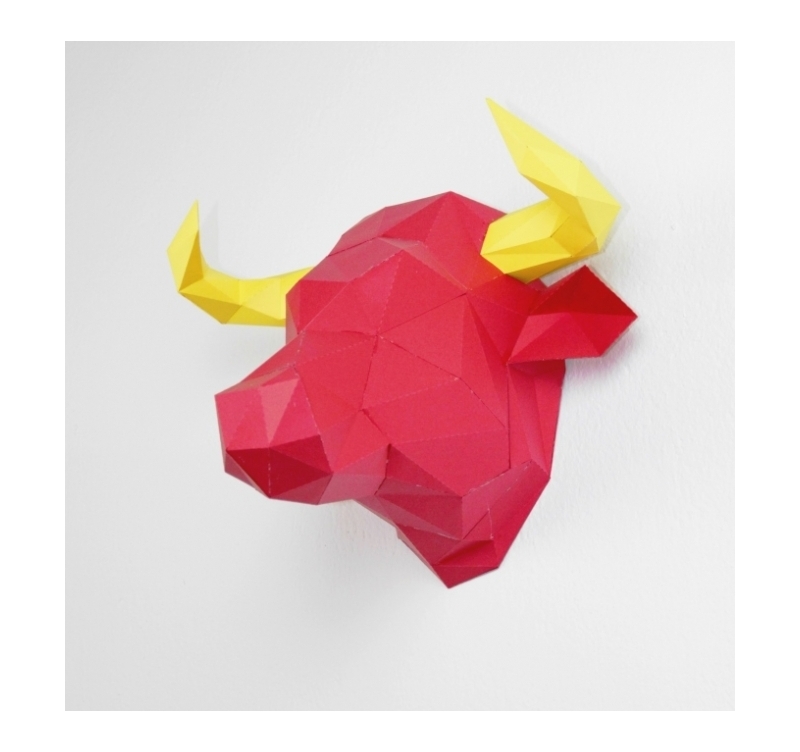 Artwall and Co allows you to create your own bull trophy with this brand new aesthetic model ! To realize with family or alone, this mural decoration will be perfect for a living room or a room. Our installation kit and manual Artwall and Co allow you to realize it very simply by following the instructions step by step. 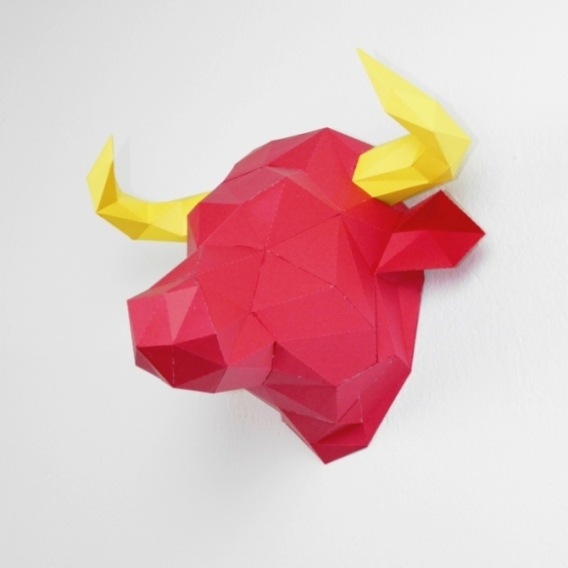 Once ordered, you will be able to discover this bull's head in its protective envelope. The trophy comes in several pre-cut parts for easy identification and faster assembly. All you have to do is bend according to the instructions and stick the different parts together. No worries for beginners, everything is indicated to make your job easier. The installation of this trophy is very easy to hang on the wall with great lightness.